Another version of Digivice from the digimon zero two animation, there is not much difference between the previous digivice and it just implemented a few new function, new monster and new adventure. 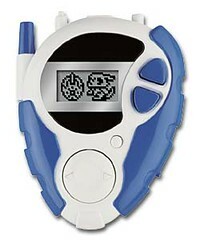 tat time really HOT abot digimon! waitin for ur new post lar..
do visit my blog, see you around!